If you thought there's nothing to talk about on a Sixers podcast in August, you'd be wrong. We discuss the schedule (along with all of the nationally televised games), Bus The Process III, Mike's new TV show (read about it here and here), the NBAPA Awards, and the MVP and Rookie Of The Year odds for 2017-18. We also squeeze in some relationship advice. Bus The Process III: Operation Shithole is on sale now. We're going to the March 4th game against the Bucks in Milwaukee, and staying in Chicago for a few days. Please reserve your seat now so you don't have to come crying when it gets sold out. 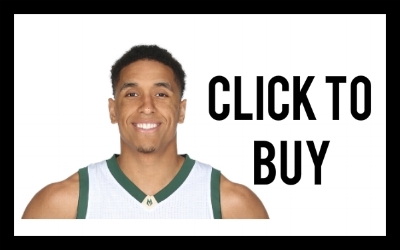 Click this link here or Malcolm Brogdon's head for more information and to reserve your seat. As a bonus, we include the audio of the worst press conference of all-time, Doug Collins' post-game presser on February 26, 2013, following a loss to the Orlando Magic.